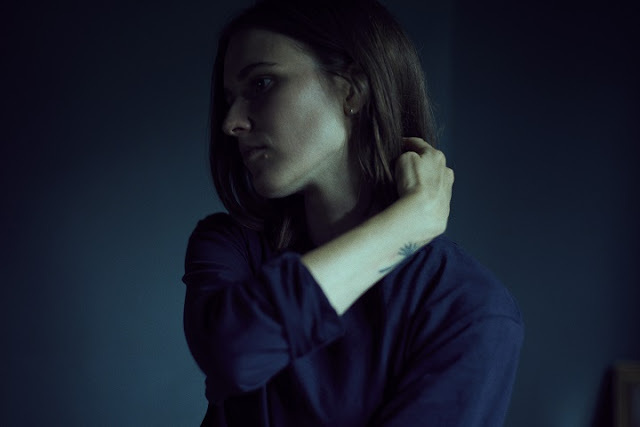 British artist Art School Girlfriend has premiered the stunning visuals for her single Measures, the title track of her debut EP. The new video has been directed by French-born, Amsterdam based 3D artist Kevin Bray who came to over to Margate – where Art School Girlfriend is based - and mapped out the seaside town’s cliffs for the mesmerising new video. Watch it below! Originally from Wrexham North Wales, Polly is now based in Margate's creative community after spending 5 years in the London music scene fronting a shoegaze band. Art School Girlfriend is the next chapter in the musical tapestry of Polly’s life - exploring themes of lust, queer identity, infatuation and disillusionment. Margate's coastline has provided a dramatic and apt backdrop for her debut EP, reflected in not only her uniquely intoxicating sound, but also the artwork and aesthetic. With everything written and produced by Polly in her studio space (which is nestled alongside Gabriel Stebbing, Ghost Culture et al) finishing touches were added at Epworth's infamous Church Studios. Raised on the music of The Velvet Underground, PJ Harvey, Nick Cave and Patti Smith, Art School Girlfriend's music is atmospheric and stark in equal measure, a perfect balance of calm and chaos. Having recently played The Line of Best Fit’s ‘Five Day Forecast’, Art School Girlfriend has confirmed a show at Sebright Arms on March 13th.